A good gastro-pub is not just a place to watch the news or a hockey game. These little centers of activity are some of the best places to hang out with friends and family. You can grab a local beer and dig into some of the best food around town. If you are thinking about trying a new place, or if you're in Toronto for a while, here are some of the best gastro-pubs to check out. This gastro-pub is geared towards the sports lover. From the ambience to the food on the menu, the Queen and Beaver is your quintessential British sports pub. Crispy, batter-friend goods will make for the perfect accompaniment when you want to catch a game. Try the Soccer Pie with a nice specialty cask beer. Finish up with their famous Sticky Toffee Pudding. The Oxley is the sister establishment of the Queen and Beaver, and is a little less sport-oriented in comparison. This pub has a mellower atmosphere, and you will have a lot of the same dishes as well as other meal options. This place is ideal for the sophisticated meal. You can relax and feast inside or on the patio with a nice rib eye and a pint of lager. This pub has been around for nearly two decades now, and it makes for a great spot to have lunch and an afternoon drink. The menu has a variety of pub food and bistro dishes for vegetarians and meat lovers alike. The atmosphere is quite varied to suit just about any affair. You can kick back on the patio with your friends or chill out on your own at the bar. You can even have a family dinner at the dining area with its comfy couches. The beer menu is one of the best in town. Over on Parliament Street, you can find this famous gastro-pub that you may have even seen on TV. This place is very laid back and homely, and although it is a relatively small space, it has a cosy vibe. This popular pub has some amazing steak and Stilton sandwiches, house salads, and sweet potato fries. Grab a local Indian pale ale and you're all set for a great time. If you feel like a more Eastern European vibe, then Beerbistro is the place to go. This place is very much a Belgian-oriented pub, and the food and drink will blow you away. Beerbistro has over a hundred different types of craft beer and draft taps from all over the world. You'll be hard pressed to find a gastro-pub quite like this one. Back in the day, this gastro-pub was a nightclub and had a huge dance floor. Now, the ambience is something out of an old movie with a bit of a modern touch. Don't be surprised to see a few hipsters there, because this is truly a paradise for the technology-dependent millennial with a penchant for vintage. Old whisky barrels are fitted throughout the area to make you feel like you're in an old distillery. You can find an odd variety of food here to pair with your drinks, ranging from the typical pub fare to gourmet dishes. These are just a handful of the most locally beloved gastro-pubs in Toronto. If you've been to all these places before, then try out the Indie Alehouse, the Local 1794, and the Caledonian. In a nutshell, starting a vending machine business is much like any other. You need to have a sound business plan based on market research and careful thought. You would need to decide on select locations. This would be based on where you would expect the best sales without spreading the locations too far apart or keeping them too close together. Then you need capital to buy good quality machines and source the products you wish to vend – details here: https://www.lifeoncredit.ca/bad-credit-personal-loans-in-canada/. You will also need labour, because the machines will need to be monitored, restocked, and the money needs to be securely removed. These machines will also need regular maintenance. With more micro-markets flourishing across the world, starting your own vending machine business is a very doable and potentially profitable option in Canada. Before you venture into this industry, you need to think about the current trends and how you can capitalise on them to make a good profit. It's important to recognise that vending machines are a dime a dozen today. 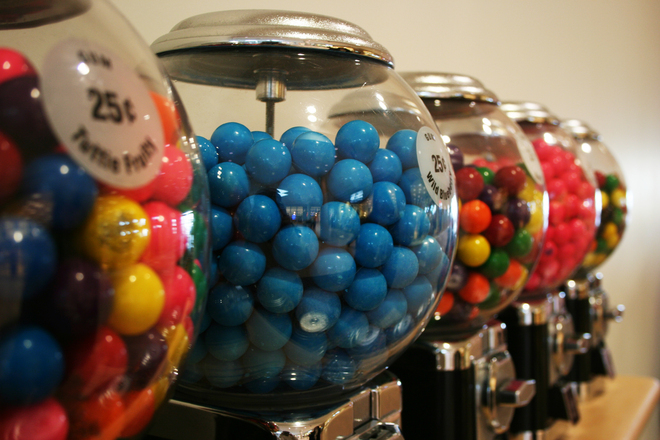 Currently, the most popular machines still cater to soda pop, potato chips, and chocolate bars. However, analysts have noticed an upward trend for healthier alternatives. With the recent Canadian Automatic Merchandising Association's new program, more and more vending businesses are looking to improve their machines with healthier options. Considering that the majority of these machines still contain unhealthy food, health-conscious people are a yet untapped market. On the other hand, those unhealthy options are one sure-fire method of making a profit. This is worth bearing in mind when deciding on what you would like to vend. Also think about where you would want to place your machines and what kind of people will likely be there. What sort of items would they typically want to buy? You should also be thinking about the health regulations that may apply. Depending on what kind of goods you plan on vending, certain tax laws, requirements, and codes must be strictly adhered to. Violation of those codes can earn you a hefty fine and even a few months of imprisonment. You will need to obtain a license to operate these machines, and they must comply with rules about their location, condition, and the items being sold. Licensing fees will depend largely on how many machines you will be operating - details here: https://www.lifeoncredit.ca/. These will be subject to a variety of health regulations. You will need employees to handle replacement of goods safely, and regular inspections will have to be carried out by a DCP commissioner. Depending on where you wish to place your machines, certain fees may be charged by the host. Or, you may have to contribute a small percentage of your sales to them.